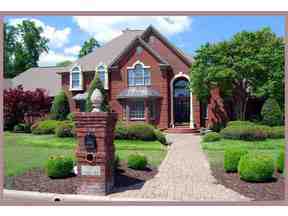 BREATHTAKING ESTATE lavishly decorated w solid maple hardwoods, custom crown molding, & marble tile throughout. 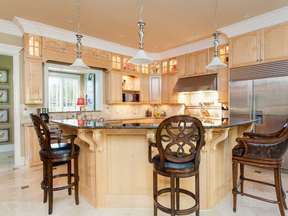 Truly a chef's kitchen featuring commercial stainless appliances & granite tops. First floor master suite tucked away w private fireplace, sitting room, & outdoor patio. Sumptuous 23x18 en suite w free standing soaking tub, walk-in tile shower, personal gym area, & COLOSSAL CLOSET! 4 graciously proportioned additional bedrooms PLUS separate bonus each opening to attached bathroom. PRIVATE outdoor living space w sparkling pool, manicured landscaping, fireplace, & upgraded pergola. Triple car garage w oversized 12' doors. GREAT location close to I-65 for convenience & easy commute!